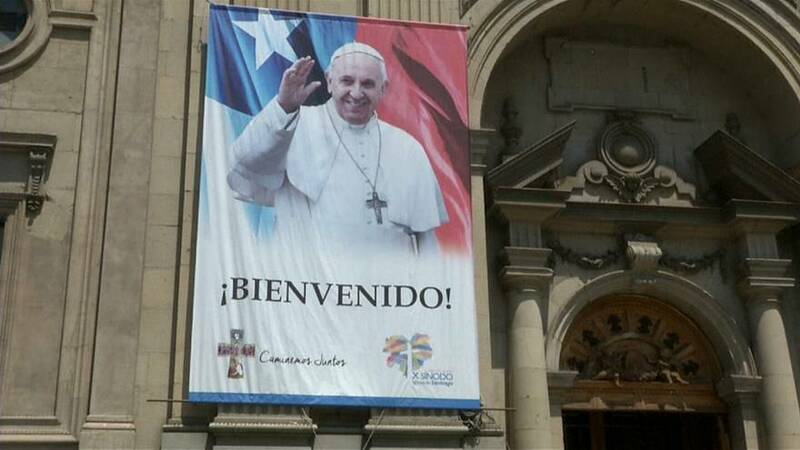 Pope Francis is visiting Chile. He'll be meeting victims of the disposed Chilean dictator Pinochet. Bishop Juan Barros has been accused of protecting a predatory priest. However, the Pope's representatives say Francis may meet Chilean victims of sexual abuse. Indigenous Mapuche people have also been protesting. They accuse the Church of stealing ancestral lands. Spokesman Aucan Huilcaman from the 'Council of all lands' said his group wants compensation from the pope. "We hope that the pope, not only asks for forgiveness, it is not enough for him to say: "I give you my peace.' Because their peace has been dispossession, submission, evangelisation, domestication. We want him to ask for forgiveness and at the same time commit himself with reparation and compensation for the damage caused."